The first beer of the year to emerge from the barrel program at Deep Ellum Brewing Co. is being packaged today. 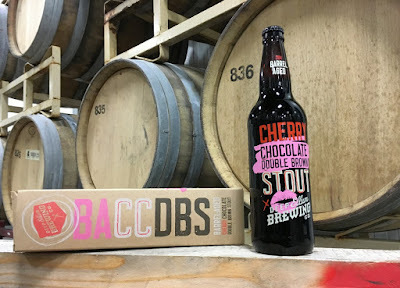 To be released in individually boxed 22-ounce bombers, Barrel Aged Cherry Chocolate Double Brown Stout (BACCDBS) is expected to be delivered to local retailers as early as next week. As the name implies, BACCDBS is based off the brewery's popular Cherry Chocolate Double Brown Stout, a product which comes out annually around Valentine's Day. 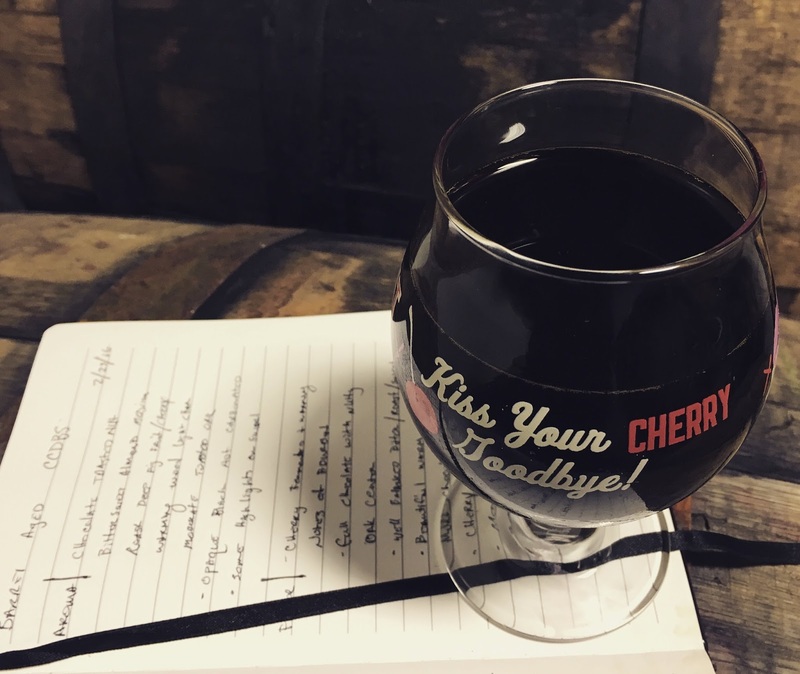 For this edition, a batch of the base beer was aged for 11 months in bourbon barrels, then extracted and re-fermented with nearly 300 pounds of cherry puree. The finished beer is 100% barrel-aged, having not been combined with a fresh batch at any point in the process. This means the final product will be released to the public at cask strength. Barrett Tillman, brewer and barrel wrangler at Deep Ellum, said he's excited about this beer and others the brewery has in the works with its barrel program. "We have some great beers in the lineup for this year, with BACCDBS being the first," said Tillman. "For this release, beer was aged in several different casks that were selected for a lush presentation. Some barrels had a refined toasted oak character, while others had richer chocolate or silky vanillin notes. The resulting blend is layered with deep cherry fruit, embellished by rich malt, bittersweet chocolate and toasted almonds, all finished with warming bourbon." bottle to box. (Barrett Tillman/Deep Ellum Brewing Co.). Sharing his thoughts further, Tillman also singled out elements of fig, hot cocoa, light barrel char and medium roast while talking about how BACCDBS continues to develop as it warms. Something else he mentioned, though, with regard to the balance between its bitter and sweet malt characteristics is what stood out to me most after sampling the beer. For me, there's a distinctive cherry flavor upfront, something which is followed by a rich chocolate wave that mingles with the inner workings of the oak barrels. This all leads to a warm and lingering aftertaste I would describe as being akin to bourbon-dipped chocolate covered cherries. The other complexities Tillman mentions come and go with time and temperature, but the balance between fruit, bourbon and beer seems to maintain throughout the drinking experience. As for when you'll be able to take home a bottle for yourself, that depends on when the label is approved by the TABC. Once that happens, look for BACCDBS to appear on shelves wherever seasonal and specialty offerings from Deep Ellum are sold.